Extracted from RK Peacock, Evolution of Australian Light Horse Regiments 1841-1935, p. 17. 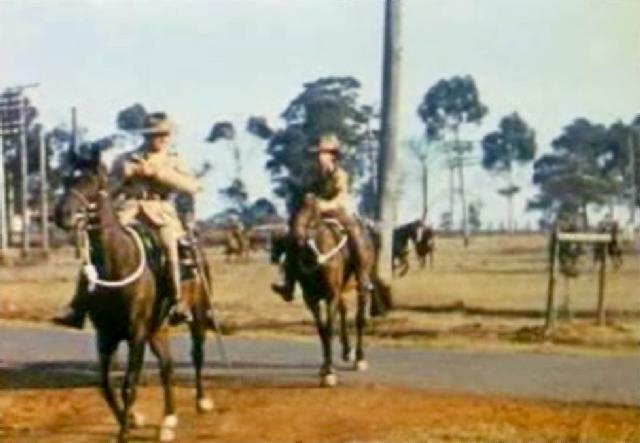 The 17th Light Horse may be traced from the Kyneton Castlemaine and Sandhurst (Bendigo) troops of the Royal Volunteer Cavalry Regiment raised in 1862. Through the years 1863 to 1874 these troops formed part of the Prince of Wales Regiment of Light Horse (Hussars). These troops were later disbanded and in 1884 a troop was raised at Sandhurst styled the Sandhurst Cavalry Troop which lingered on for a few years till 1891. In the Federal re-organisation of 1903 no mounted unit existed at Bendigo, Castlemaine and Kyneton. 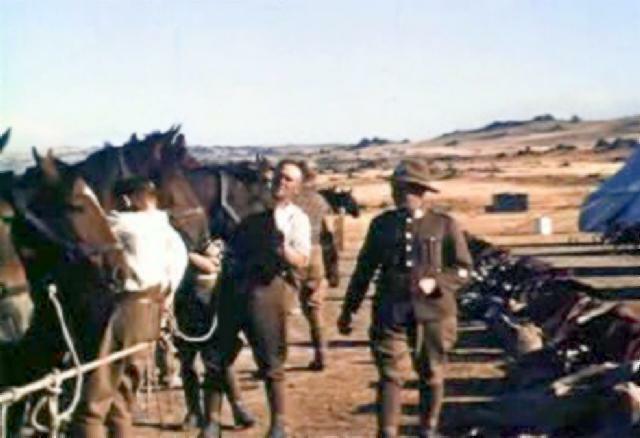 It was not until the year 1911 (3 January 1911) that a unit styled the 19th Light Horse Regiment was formed with headquarters at Bendigo and squadrons at Bendigo, Elmore, Rochester, Echuca, Kerang, Pyramid Hill, Mintaro, Castlemaine and Kyneton. 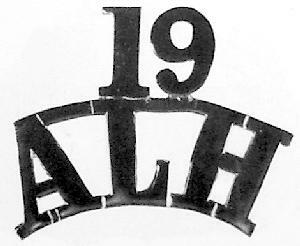 At the re-organisation of 1912 the 19th became the 17th Light Horse, in the following year (1913) the 17th (Campaspe Valley) Light Horse. 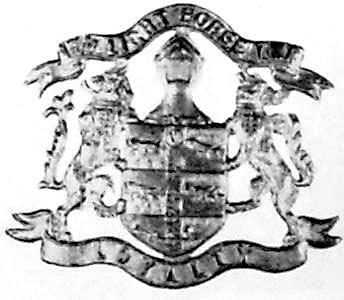 It continued under this title until 1927 when it was styled the 17th (Bendigo) Light Horse, and in 1931 the 17th (Prince of Wales's) Light Horse. 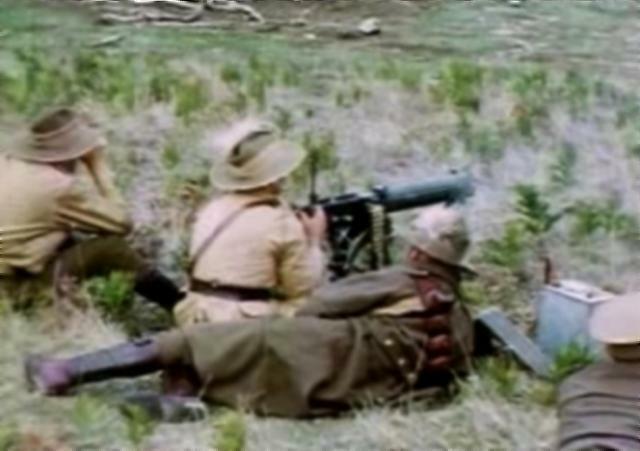 The photographs on this page are extracted from the colour footage taken of a troop from the 17th Australian (Prince of Wales Light Horse) Machine Gun Regiment in Australia during Easter Camp, sometime in the late 1930's. While filmed in the late 30's, the activities are timeless. The clip details the day to day routine that was part of the life of a serving Light Horseman. Daily duties included "Stables" where the horse lines were mucked out, the horses groomed, fed and watered. This was a twice a day ritual. Part of this is captured in the latter part of the film footage. 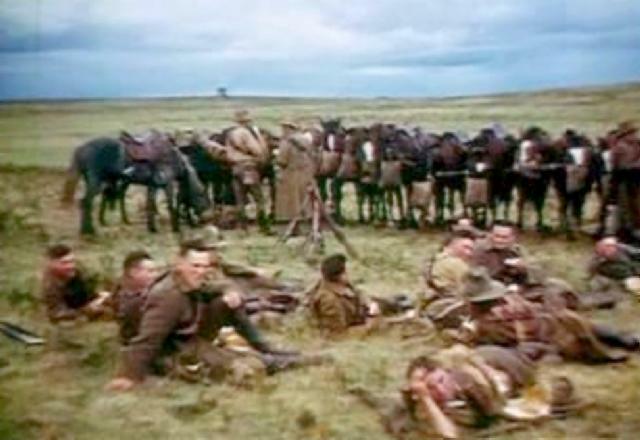 Other items include machine gun firing practice, cross country route marching, having lunch after feeding the horses, horseback wrestling and lines inspection. His Excellency, Sir John JMF Fuller, KCMG. Major Leonard Long, 12 September 1910. Honorary Lieutenant Robert Hampton, 16 May 1912. Captain Frederick Ernest Hutchinson, 23 October 1911. Lieutenant JB Leitch, Honorary Captain, Boer War Veteran, 15 March 1900. Lieutenant John Cahill, 8 August 1910. Lieutenant Archibald Charleson, 20 March 1907. Second Lieutenant Francis Edgar Jones, 26 March 1907. Second Lieutenant James Boyd Langdon, 10 April 1911. Second Lieutenant Mare Cohn, 10 July 1911. Second Lieutenant Frank Levy, 10 July 1911. Second Lieutenant George James Rankin, 23 December 1909. Second Lieutenant John Mackintosh, 6 July 1908. Second Lieutenant Thomas William Herbert Chilton, 3 April 1911. Second Lieutenant Malcolm John Cochrane, 7 August 1911. Second Lieutenant Thomas Edwin Aicken, Boer War Veteran, 12 March 1907. Second Lieutenant John Thomas McLaren, 24 July 1911. Second Lieutenant Alexander Francis Connell, 3 April 1911. Second Lieutenant James Taylor, 3 April 1911. Second Lieutenant Frederick James Reddrop, 15 March 1912. Lieutenant George James Rankin, 4 March 1912. Lieutenant John Mackintosh, 24 June 1912. Lieutenant Thomas Edwin Aicken, Boer War Veteran, 15 January 1912. Second Lieutenant Alexander Herbert McMaster, 15 March 1912. Second Lieutenant Frederick Hamilton Milvane, 15 March 1912. Second Lieutenant Charles Bramley Mann, 27 May 1912. Major Leonard Long, 12 September 1910, Tenure of Command from 1 April 1911 to 31 March 1916. Captain Donald McLennan, 26 April 1910. Lieutenant Thomas Williams, 12 October 1910. Major A Caddy, Calcutta Light Horse, 1 September 1912.